Who is Responsible for Maintaining Your Mobile Home Site? If you don’t know the answer to this question, it is time to review your Park’s Rules and Regulations! In almost every mobile home park, the rules are very specific that it is the mobile home owner’s responsibility to maintain the site (lot) upon which your mobile home sits. The mobile home owner rents the site, but is the one who takes care of the landscaping, porch, and carport. Most parks restrict the storage of appliances or other items outside of the mobile home and also require that the landscaping on the site be properly planted and maintained. Some parks restrict the types and number of potted plants, as an example. A provision stating that management may charge a reasonable fee for services relating to the maintenance of the land and premises upon which a mobilehome is situated in the event the homeowner fails to maintain the land or premises in accordance with the rules and regulations of the park after written notification to the homeowner and the failure of the homeowner to comply within 14 days. The written notice shall state the specific condition to be corrected and an estimate of the charges to be imposed by management if the services are performed by management or its tenancy. If you have a question about what your park rules require, be sure to take time to sit down and review the rules with your park manager. 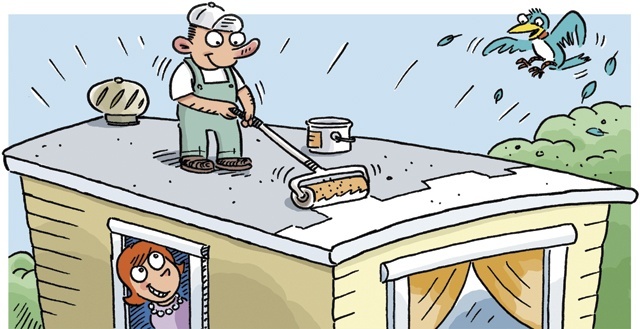 Rain Weather Means Roof and Gutter Repairs! Thank you to Foremost Insurance website for this valuable information. Be sure to click on the link below to read the detailed information.